To ensure seats, guests must arrive an hour before the show. Sit back, relax, and watch a 45-minute show starring the impressive Black Sea bottlenose dolphins and northern fur seals that are residents of Dubai. These native animals of Dubai will perform unbelievable acrobats, singing, juggling, and jumping, that you have to see to believe. To ensure that you are comfortable during the show, the venue is fully air-conditioned and can accommodate up to 1,200 people. The venue also includes a restaurant, a gift shop, and classrooms to learn about the dolphins and seals. Join the 30,000 people who visit the Dubai Dolphinarium each month to meet the friendly sea animals who perform for the crowds. 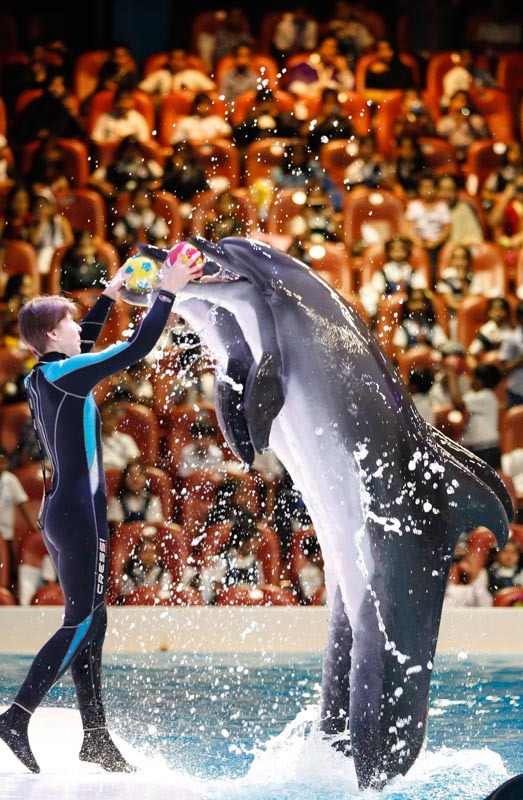 The bottlenose dolphins are the star attractions in action-packed shows with amazing juggling and diving skills. Kids and families can expect wet and wild entertainment from the daily shows, as well as attractions such as swimming with dolphins. The adventure doesn’t stop there. The park is also home to the Creek Park Bird Show, the only exotic bird show in this area of Dubai, so all the more reason to head over and meet the feathered friends. See over 20 different species of birds & parrots, whilst you interact with exotic birds during the free flight shows. Buy tickets online to ensure that the show will not be sold out. Be sure to arrive an hour before the start of the show, to ensure a seat. There is wheelchair access and special access seating. Entering Creek Park costs an extra AED5 per person. This charge is administered by the Dubai Municipality and is nonrefundable and non-negotiable. The Dubai Dolphinarium is located right outside of the center of Downtown Dubai. If you are looking for a way to get there, you can expect about a 15-minute drive or ride from a taxi and public transportation will be about a 1-hour ride from the centre of Downtown Dubai.